The Field Test of “An Explanation of Martin Luther’s Small Catechism” has been mailed to every pastor in synod for comment. An online survey has been set up for pastors to give feedback. But such a short-form response seemed inadequate for something as important as “How the church will be taught the faith for the next generation.” A long-form review seemed more appropriate. First, I acknowledge that this is a tremendous effort on the part of the committee. Having written a catechesis program, and having received feedback on it, I have some idea how daunting the task is to put on paper “How to teach the faith to children”. You must help someone you have not met to teach the faith once delivered to children you do not know using the pattern of sound words in a way that addresses contemporary issues the church faces while trying to predict what heresies Satan will dredge up next. It’s not easy. And, when looking at the overall form, what they have attempted is very impressive: Returning the instruction to more closely match the outline of the Large Catechism, while simultaneously addressing modern issues. The Large Catechism is the gold standard for instruction in the faith. How very sad that the pattern Luther uses is so often ignored. And how exciting that the new revision has attempted to return to that pattern in significant ways. One example should suffice to show the difference. In the Large Catechism, Luther spends 28 paragraphs explaining that a god is the thing in which we trust. That was never mentioned in the synod explanation – 1943 as well as 1992. Following Melanchthon’s lead, the previous catechisms used a more scholastic pattern of instruction. Melanchthon attempts to show, “without the aid of revalation, not only that God is powerful and just, but also that he is good and kind” (Pelikan, From Luther to Kirkegaard.) This finds expression in our modern catechisms as “The attributes of God.” They come from Thomas Aquinas via Melanchthon, not Luther. Unfortunately, Conrad Dietrich used Melachthon’s pattern for his own explanation to the Small Catechism. In the 19th and 20th century, Loehe and Reu follow Luther’s pattern. Schwan and the LCMS follow Melanchthon. The last three catechisms in the LCMS have followed the more academic, rather than the more pastoral and evangelical (and, I would argue more pedagogically sound) pattern of Luther. When I saw the names of the committee members, I was excited. I thought that the new revisions might take a turn toward Luther’s method. Early indications were quite positive. And now, with the materials in hand, the influence of Luther, especially in the Large Catechism, is obvious. When I first received the materials, I gave them a quick once over. I noticed that the broad outline followed Luther’s Large Catechism, and then put it down to work on other projects. But brother pastors were saying strange things. I was hearing of resistance to the new pattern of instruction. That seemed odd to me, because, what’s not to love about Luther’s Large Catechism? Luther’s focus on what it means to have a god is included. The attributes of God have been moved to an appendix. The supplement to the Ten Commandments defines sin in a way that more closely matches AC II. The First article does a much better job of explaining humanity’s place in creation, especially against the false teachings of evolution. The focus on God as creator, who created us in love, and still preserves us, has been strengthened. The discussion of the “image of God” is much better, acknowledging that Lutheran Theologians have allowed that the image, though corrupted in the fall, has not been entirely lost. The second article makes much clearer the human motherhood of Mary. In Catechetics, I comment on the second article of the old explanation, “Nothing is said about Jesus being born of the Blessed Virgin Mary. 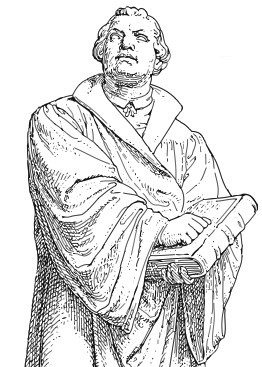 It seems especially egregious to ignore something that Luther specifically included, that is included in all three creeds, and that many today specifically deny, especially since one of the main theological issues in the recent Seminex controversy was the virgin birth… None of the evidence cited by the catechism would have been especially upsetting to a Gnostic. They would have conceded every point in the explanation, and still denied the true humanity of Jesus.” The new catechism corrects this, “Jesus was conceived in Mary’s womb by the will and act of God apart from a human father.” No wiggle room for Gnosticism or historical criticism exists in such an answer. In the third article, the new explanation hints at something Luther makes explicit, but that is missing from the old explanation: The Holy Spirit is given through the Holy Christian Church, (that is) the Communion of Saints, by which we receive the forgiveness of sins. For Luther, the Third article lists the work of the Spirit, just as the First and Second list the work of the Father and Son. This was lost in previous explanations, and is almost – but not quite – restored in the proposed revision. Hopefully, a more complete restoration of this is possible. Much better is the omission of the distinction between the “visible” and “invisible” churches. This doctrine does not originate with Luther, but Calvin. It is picked up by Walther to answer a specific question that had to be addressed by the Perry County settlers after the unfaithfulness of Bishop Stephan. And it addressed that question. But its continued use has caused confusion, and in some textbooks (esp. Koehler) led to a view of the church that is more Platonic than Plato himself. That the catechism returns to a more scriptural and confessional definition of the church is welcome. In the second petition, once again, theological novelty has been removed (the kingdom of God as consisting of power, grace, and glory) and Luther’s definition (The kingdom of God comes in time and hereafter in eternity) is again hinted at, but not explicitly stated. It is an improvement, but could easily be re-written to match the Large Catechism. The first three petitions are tied together, which was missing in the 1992 edition. “(The Third) petition is closely related to the petitions that His name be hallowed and His kingdom come.” Unfortunately, it does not explain how the three are related. Luther notes in the Large Catechism that they are connected by the Word of God. The Small Catechism bears out this understanding. We pray that the word would be Taught (1st), that we would believe it (2nd) and that we be kept in it (3rd). The sixth petition in the 1992 edition actually contradicted the text of the catechism. Conflating “Temptation” and “Testing”, it was not clear why we confess that God tempts no one. The new explanation fixes this by explaining the difference between testing (which “brings us closer to Himself and makes our faith more resilient”) and temptation (in which “our spiritual enemies (attempt to) lure us away from God.”) Although the definitions are not exact – testing does not automatically “bring us closer to Himself” – they have at least restored the distinction. In the 1992 edition, before learning about Baptism, the catechumen was given a definition of “Sacraments.” But scripture knows of no “theology of the sacraments”. We have those things which the Lord has given (Baptism, The Lord’s Supper, Absolution) which bring forgiveness of sins, just as we have those things which God has given that are blessed estates in this world (Marriage, Family) and those that are given which are for our defense against Satan (Prayer). Our confessions specifically decline to number the sacraments. It is good to see that Baptism is presented before a formal definition of the abstract category “sacraments”. For those who prefer Chemnitz’s three-fold definition, it is still included after the Lord’s Supper. This is a much better place for that discussion: After the catechumen has been taught the things themselves. 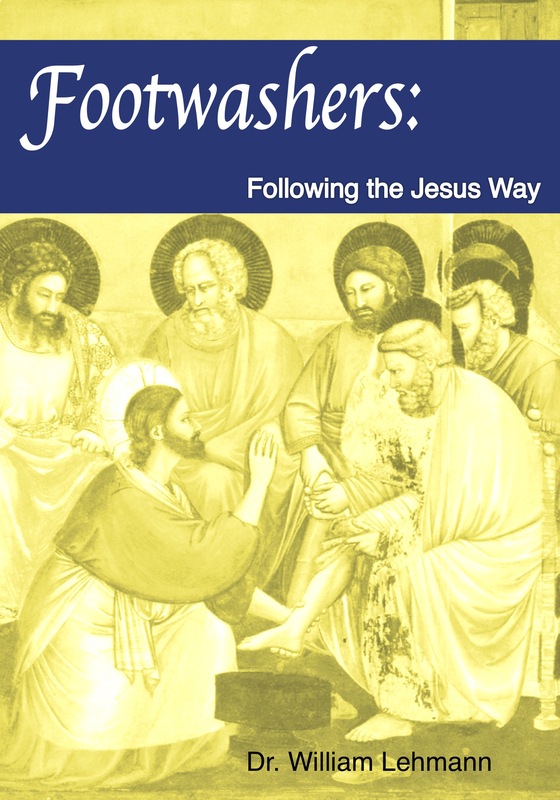 But, despite much that is good in the overall outline of the catechism revisions, there is much that needs improvement if this book is to be of benefit to the church. This entry was posted in Catechesis and tagged Catechesis, Theology and Culture. Bookmark the permalink.